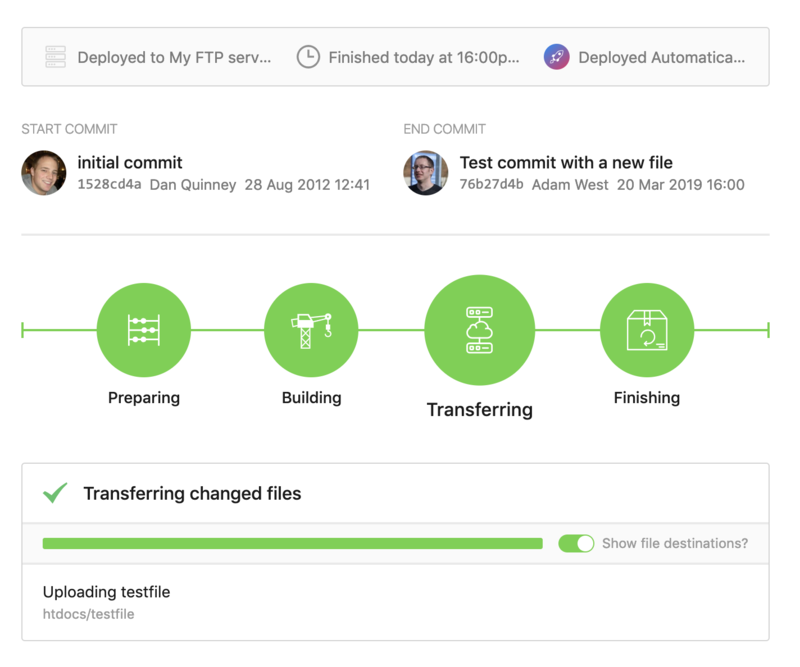 In order to use a service such as DeployHQ to streamline your deployment process, you'll need to have an FTP server in place, and a Git repository. If you're not already using Git, we have a number of recommended resources you can look at, in particular the excellent set of guides on Git's main website. Therefore, for the purpose of this guide, we'll assume you already have a Git-based workflow in place for managing changes to your code. Once you've signed up for a new DeployHQ account, you can click the New Project button at the top of the screen to get started. You’ll be happy to hear that we have a generous free plan that lets you deploy 1 project up to 10 times a day! Enter a name for your project and choose where your repository is hosted. 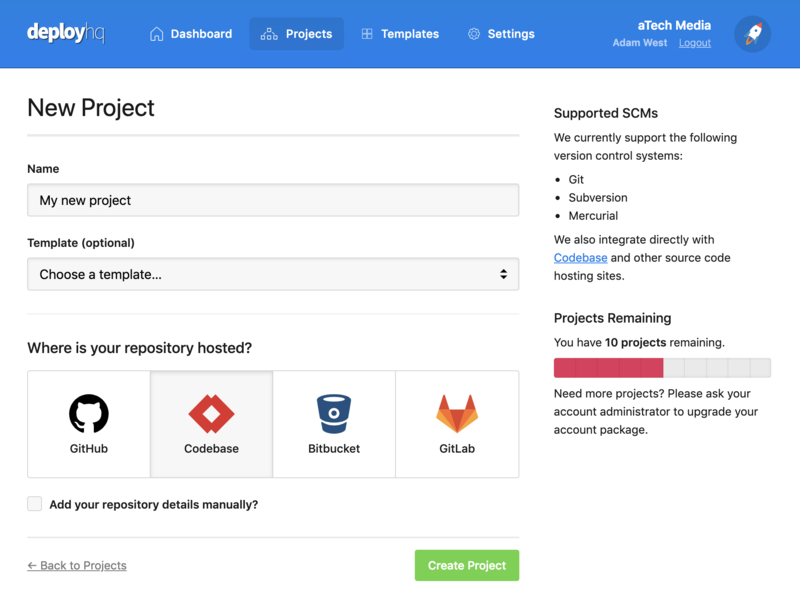 You can connect to a repository on any of the main hosting providers - Bitbucket, Codebase, GitHub and GitLab, but if you host a repository elsewhere you can configure it manually. In this guide, we'll be connecting to a Codebase repository. Once you've clicked Create Project you'll be prompted to login to the repository host, then you can choose your account, after which you'll be presented with a list of repositories that you have access to. Select the repository, then DeployHQ will automatically connect to it and add an SSH public key to be able to access it. 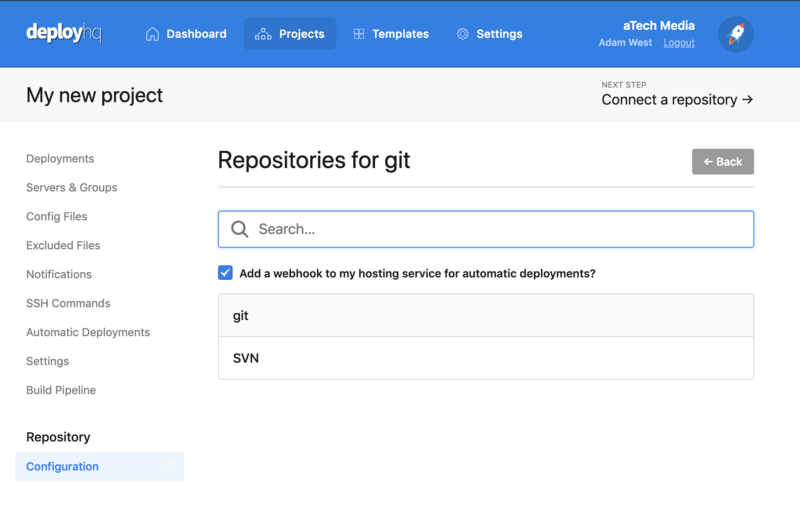 It's recommended that you keep the add a webhook option checked, as that will allow us to set up automatic deployments later in this guide. Once you've connected to your repository, you'll be automatically directed to the New Server screen. 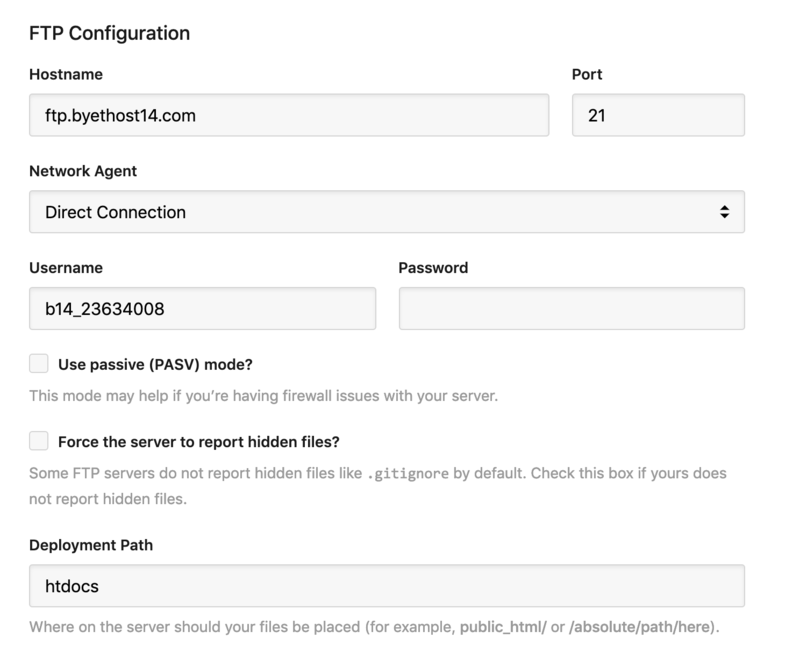 Here, you'll be able to enter a name for your server, then choose FTP as the protocol. We've created a simple free hosting site so we'll just use the same details here we'd enter when connecting via our FTP client. The hostname, username and password must match those which you'd enter in your client, and the deployment path is where files will be placed on the server. Normally, this will be a directory like htdocs or public_html. Once those details have been added, simply click Create Server to finish. Then, you can check the information before clicking the green Deploy button to the bottom right. You'll notice that the chosen server and branch are selected automatically, and the start revision says The very first commit. This is because no previous commits have been deployed. The end revision will be automatically selected as the latest found in the chosen branch. 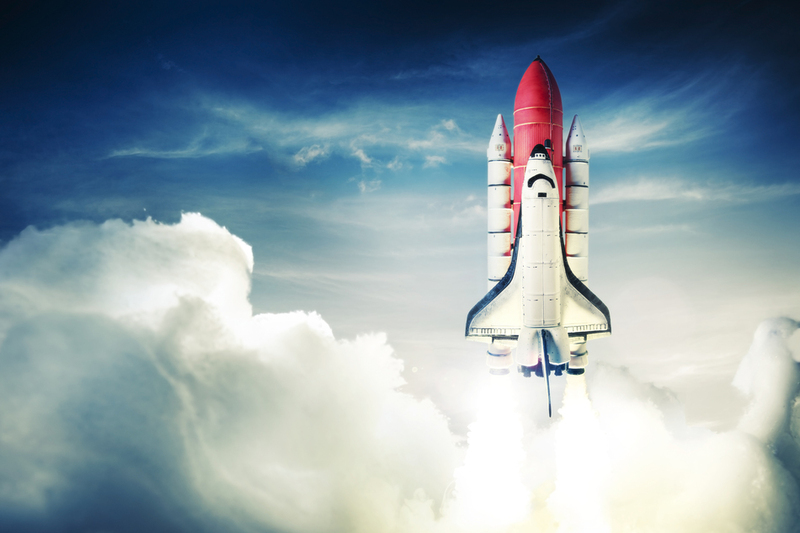 Once you've clicked the Deploy button, the deployment will start. In this instance the process will be simple, all files will be transferred to your deployment directory. Once that's done, you can review the log and see a full list of which files were transferred across. 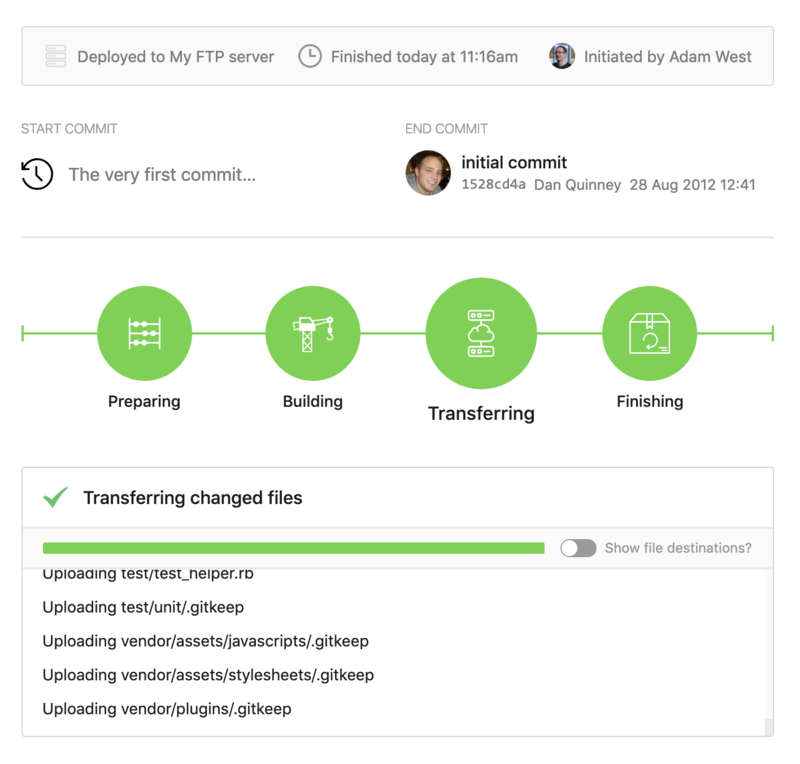 After your first deployment, you'll be able to push a new commit to repository, and see the changes uploaded. Additionally, we'll enable automatic deployments so that we don't need to login to DeployHQ to start a deployment each time. That's it! 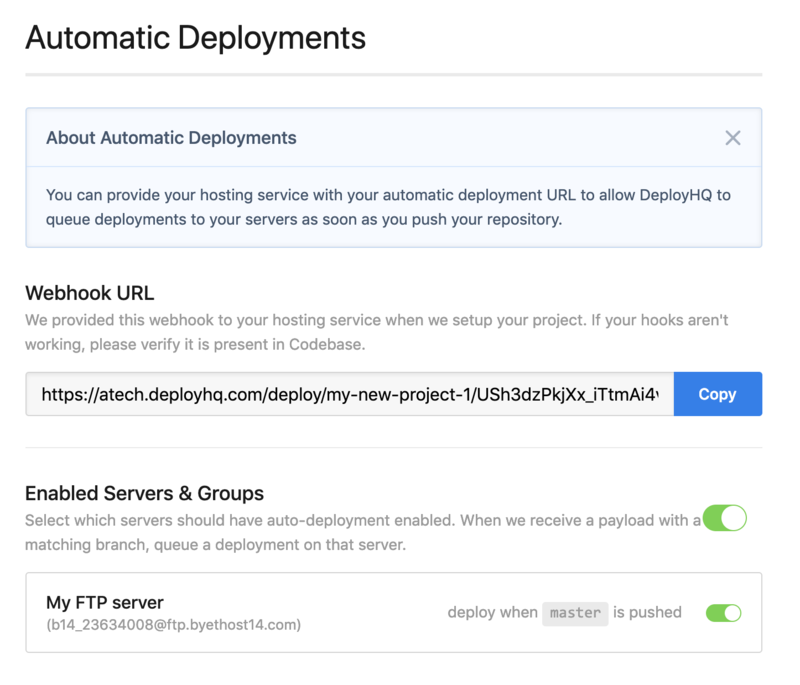 We've now improved our deployment process massively by setting up automatic deployments using DeployHQ. We no longer have to upload everything at once or worry about missing anything - only files that have changed will be uploaded. 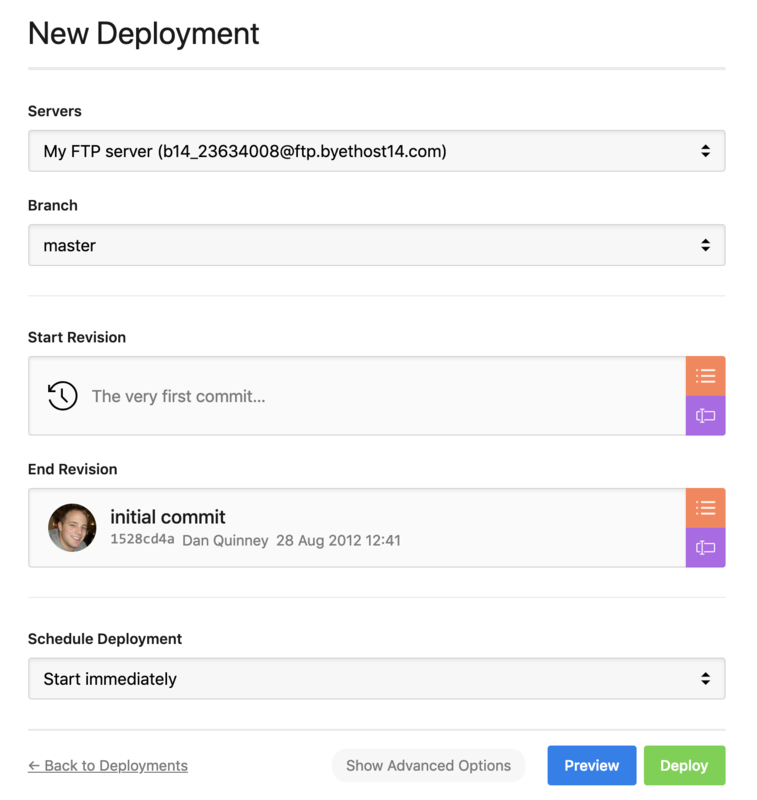 If you have any questions about this, or any other aspect of the DeployHQ service, please get in touch.